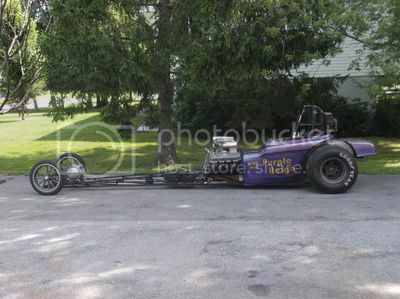 A while back someone posted something about a Front Engine Dragster / Altered. 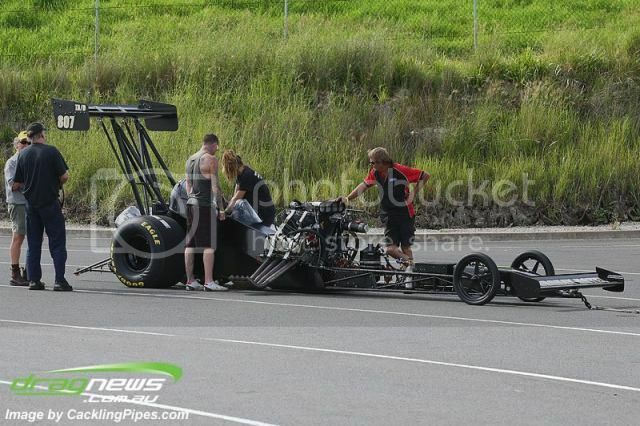 That's a dragster, anything over 125 inch wheelbase is a dragster imo. But he is sitting in front of the rear axle. Glenn, I am with you. The first one of these I ever saw in West Texas the guy called a "Funster" back half of a funny and they grafter a dragster front end on. It also had a coupe body. The green one with the bantam body in the first pick is about the slickest one I have ever seen. I am struggling in choosing another FED or an altered and I would not want one of these. Maybe I need both? Scott had to think aboutit but knew I saw this car before. Posts of that car before it was stretched. Think its same guy. Spoke with him on the phone and it is the same guy. Started out as a late 70's fuel car at 125". Setup as pictured as a 105 and us now a 190. Still has the clip for a 125"er. Thanks for the post. I'm not a fan of a long wheelbase with a wide body. It's different for sure. I am thinking about building a long wheelbase Altered. What I have in mind is about 190" narrow front and a small mono wing right behind seat. Also would like the body to be similar to the newer Top fuel Dragsters. Sort of a Flashback to the Future. I think it would have several advantages that a standard altered does not have. My current Altered is 125" and has been around a while. I have it working really well now and think I want to move on and try new ideas and challenges. The long wheelbase Altered is the direction I am leaning. OP: stretched altered, not FED, IMO. Wheelie bar upside down. IMO.